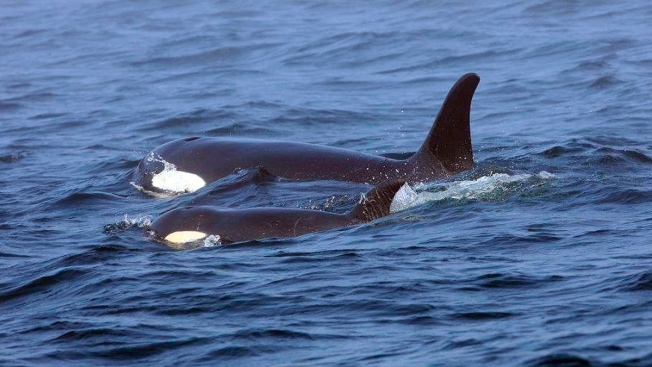 In this Aug. 7, 2018, file photo, Southern Resident killer whale J50 and her mother, J16, swim off the west coast of Vancouver Island near Port Renfrew, British Colombia, Canada. 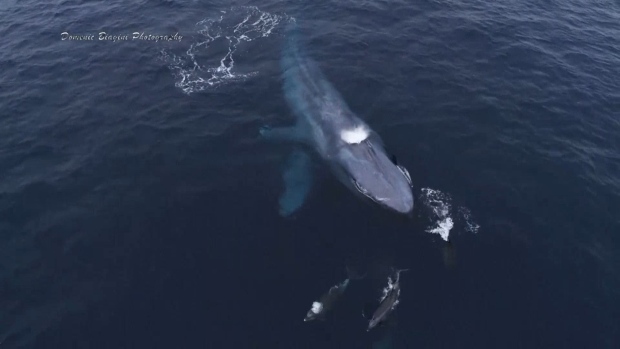 Efforts to find a sick young orca from a critically endangered population of killer whales in the Pacific Northwest came up empty Thursday, and a scientist who tracks the animals declared her dead — though federal authorities said they'd keep looking. 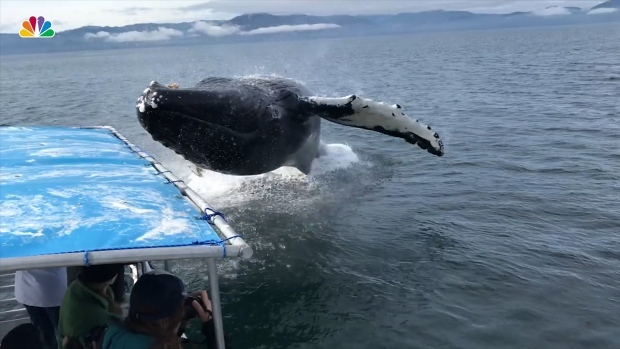 Customers on a whale-watching boat off the coast of Alaska were surprised by a whale jumping out of the water and drenching everyone onboard.